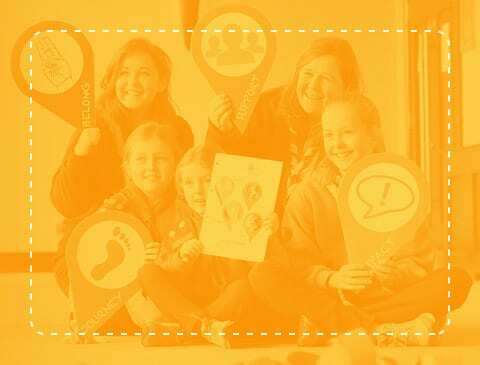 Members of the Irish Girl Guides (IGG) follow a non-formal educational programme called the Journey Programme which enables each person to embark on a developmental journey full of fun, adventure and challenge. The Journey Programme is designed to be progressive so that each girl continues to learn and develop along the way. Since a girl can become a member of the Irish Girl Guides at any time, the programme is designed to meet the needs of both the girls who start at a young age as well as those who join along the way. As part of the Journey stages, there are a minimum number of Journey badges and interest badges to be completed. A badge is a unique way for Girl Guides around the world to acknowledge when a girl achieves her best in relation to a set of specific tasks. Our badges cross six different types of Adventures and help to achieve IGG’s national programme outcomes. The role of the Leader is to mentor and support the girls along their Guiding journey. However, Leaders also travel along their own journey with various opportunities and qualifications to work towards. For Senior Branch members, working through the Journey Programme also enables them to achieve their Gaisce – The President’s Award.